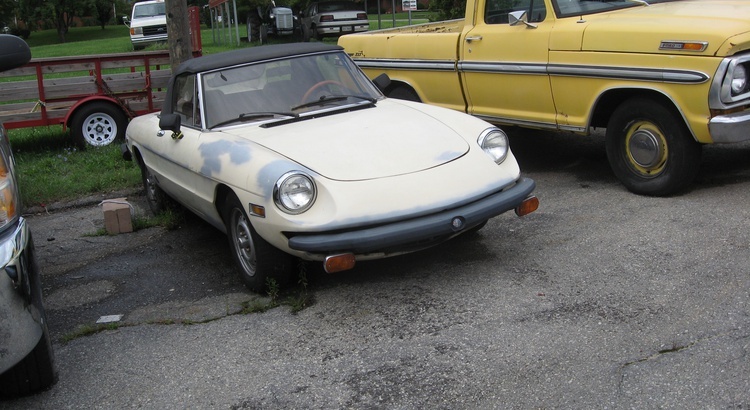 I saw this Alfa Romeo at a little used car lot and garage called Wings just east of Blue Ridge, Virginia on highway US-460. The back window is partially missing so the weather is getting in. It looks like it has had some rust repair. There was Studebaker Lark there, too, in pretty good condition.